The Kennedale boasts an appealing first floor Owner’s Suite, offering space and privacy. The spacious kitchen and adjoining eating nook, and central great room with extended covered patio keep families connected and create ideal flow for indoor/outdoor entertaining. A second-floor game room is perfect for family game night. Depending on your family’s needs, add a formal dining room, a study, or extra bedroom. A three-car garage offers generous storage for extra vehicles or gear. Step inside Kennedale to see the Life-Tested Home Designs® with more usable space where you want it most. So you live the way you want to live. 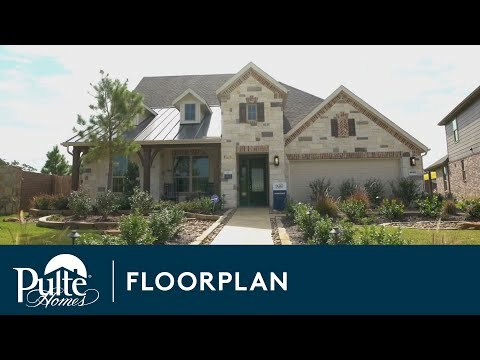 The Kennedale floor plan is known for its versatility. Add a formal dining room for additional entertaining space, a bay window in the owner’s suite, or an additional bedroom and bath upstairs to accommodate a growing family. The convenient Pulte Planning Center® off the kitchen and great room offers smart solutions for keeping busy families organized, from a homework space to laptop zone. The Kennedale has an appealing first floor Owner’s Suite, offering space and privacy. The spacious kitchen, adjoining nook, and gathering room with covered patio keeps families connected and creates ideal flow for indoor/outdoor entertaining.